Call or check our website for hours of operation, as these change seasonally. 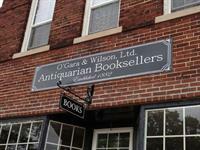 Established in Chicago in 1882 and recently moved to downtown Chesterton, Indiana, O'Gara & Wilson, Ltd. Antiquarian Booksellers has a long and illustrious history. Called by Saul Bellow ''the best bookstore in America,'' we have books in most subjects and for every budget. 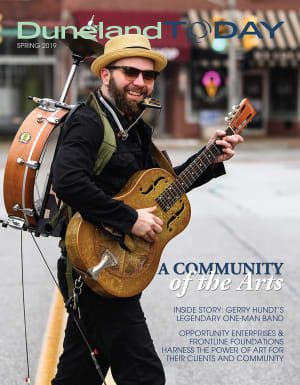 At O'Gara & Wilson, you may find what you are looking for, or you may discover something you never knew existed. Such serendipities are what browsing in a bookstore is all about. Our entire inventory depends on people like you. Is your book collection getting too big (as if such a thing were possible)? Are you moving? Inherited a library or a collection? We welcome the chance to purchase quality material, and we pay fair and honest prices. And if you come visit, maybe you'll find something to replace them with. We also buy and sell autographs, old documents, artwork, photographs, and book-related collectibles and antiques. We do make house calls, and estates, institutional, private, and academic libraries and collections are welcome. Call or email us to tell us about your collection, and come visit our shop to see what you might find.